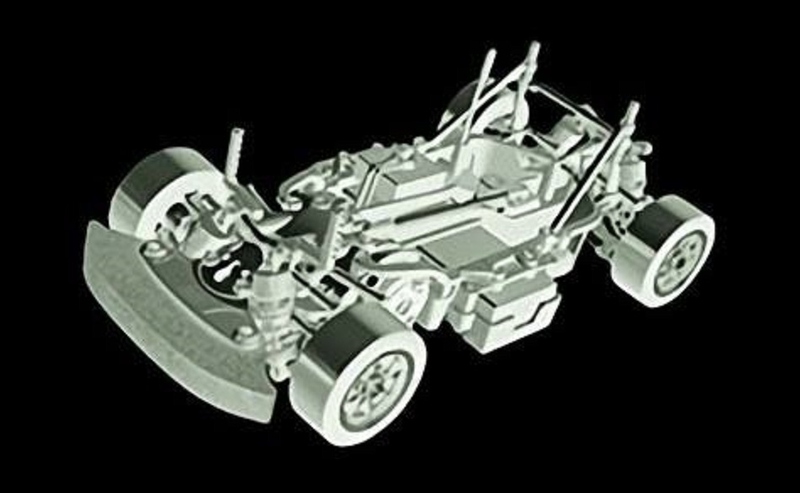 The first cad image has surfaced of the M07 Concept that Tamiya will be releasing in June. As was mentioned in the earlier details you can see the rear mounted servo position (Like the M05) and the motor is also in the same place as the M05V2. The chassis is more akin to the TA07 with it's one piece monocoque design with the upper strengtheners. Personally I am looking forward to seeing more detailed shots of the suspension arms etc, as the longer arms are going to be one of the biggest changes in how the car could handle. All-NEW M-Chassis coming June 25, 2017! 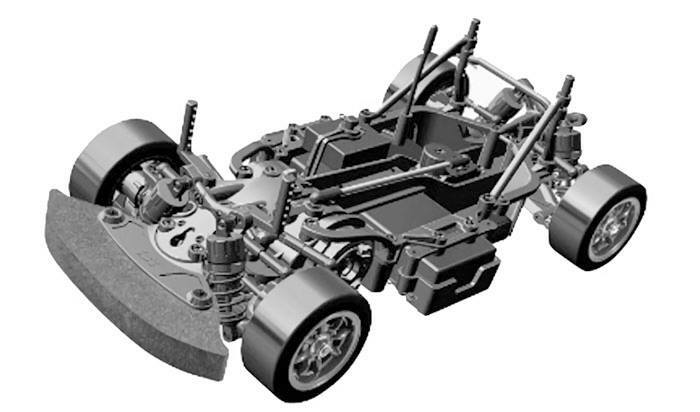 Tamiya’s M-Chassis platform have been around since the early 1990’s. Today we proudly announce the ALL-NEW M-07 CONCEPT! This is a revolution in the world of the M-size chassis and not just an evolution. Designed by the same designer who brought the TA-07 Pro Touring Car Chassis to life, this chassis takes a number of design cues from Tamiya’s touring car models and features a largely changed design from its numeric predecessors. The goal set forth with this new platform; ease of maintenance and responsive drive characteristics, all of which were attained during its development. The all-new features incorporated into the M-07 CONCEPT make it a truly rewarding drive for those who would like to experience the excitement of R/C racing. • 1/10 scale R/C chassis assembly kit. Length: 332mm, width: 164mm. • The core of the chassis is a 1-piece monocoque with integrated upper frame elements similar to the TA-07 Pro. It is designed to offer excellent rigidity with easy maintenance. • Choose between 2 different wheelbases (M: 225mm, L: 239mm), simply by changing rear arm attachment direction. • Newly designed front and rear suspension use long arms for ideal leverage ratio, in tandem with long steering linkage components. Rear toe can be adjusted simply using spacers. • 4-wheel double wishbone suspension is fitted with CVA oil shocks. • The TA06 oil-filled gear differential is used to drive the M-07. It is paired with universal drive shafts and full ball bearings. • Compatible with standard IFMAR (Li-Po cell-type) regulation square-shaped battery packs. • Compatible with Low-Profile servos. • The chassis was designed with easy access to the stabilizers (sold separately) for quick, precise adjustments vital at the racetrack. • Body mounts have a new reinforced design for more secure body attachment. • The chassis gives its driver excellent “feedback,” allowing you to judge with clarity how your setup changes have impact.